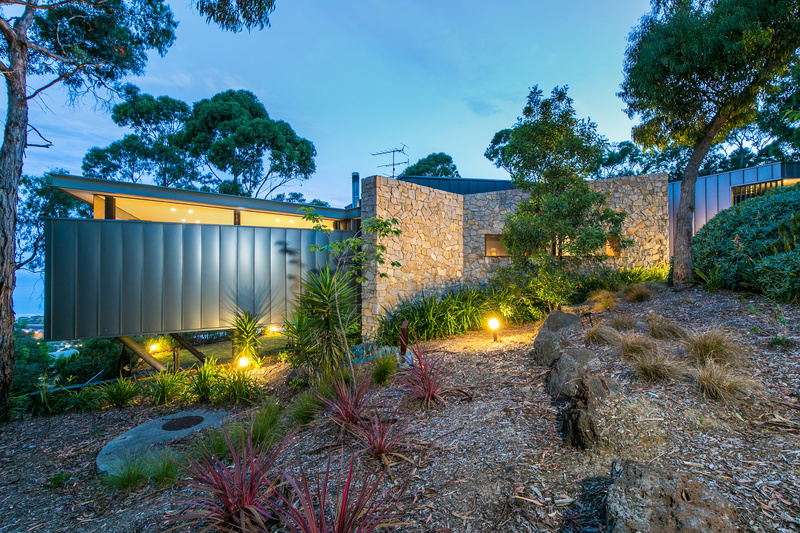 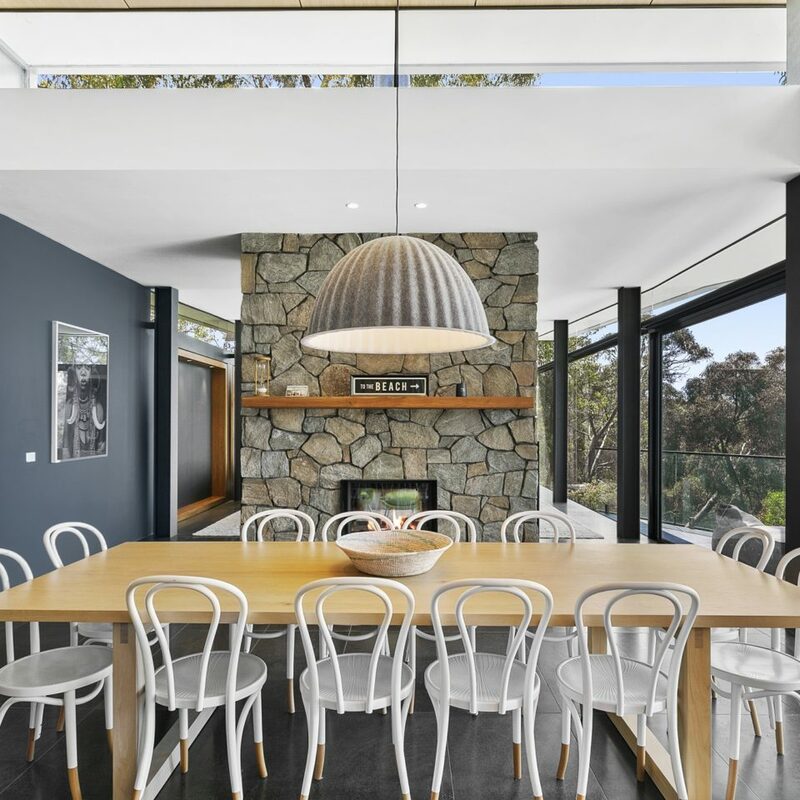 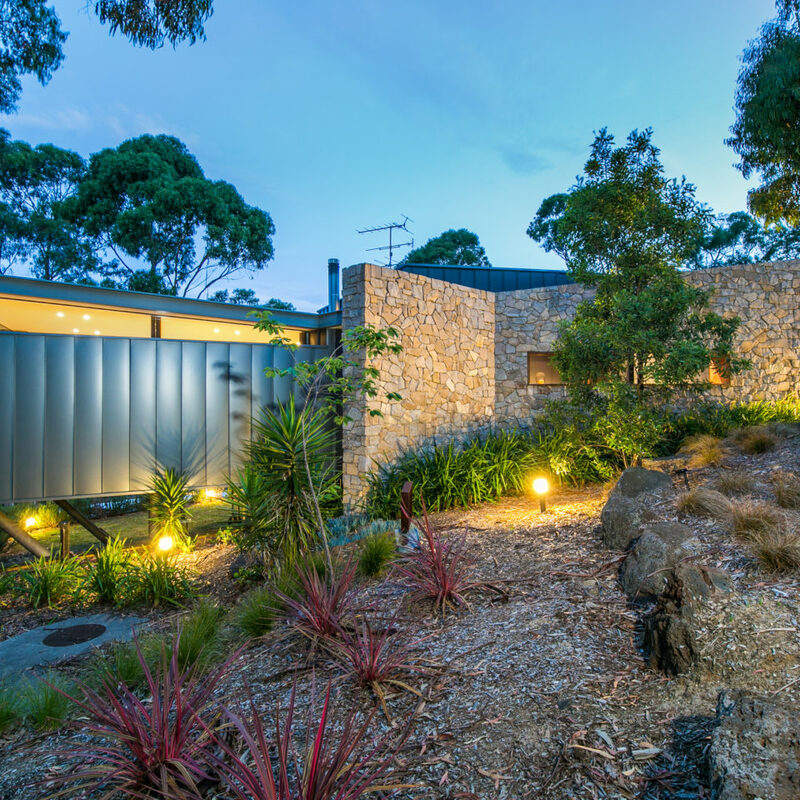 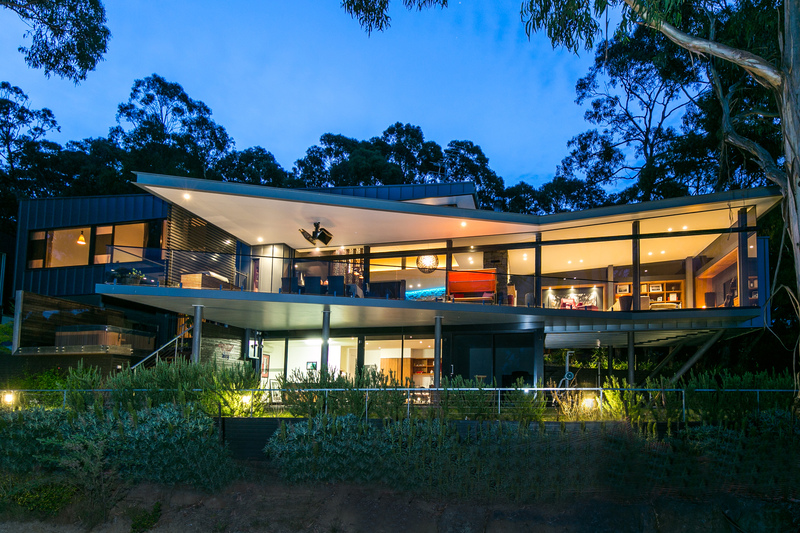 Perched high within a prestigious, covetable enclave, the home enjoys the privacy and quietness of bush surrounds. 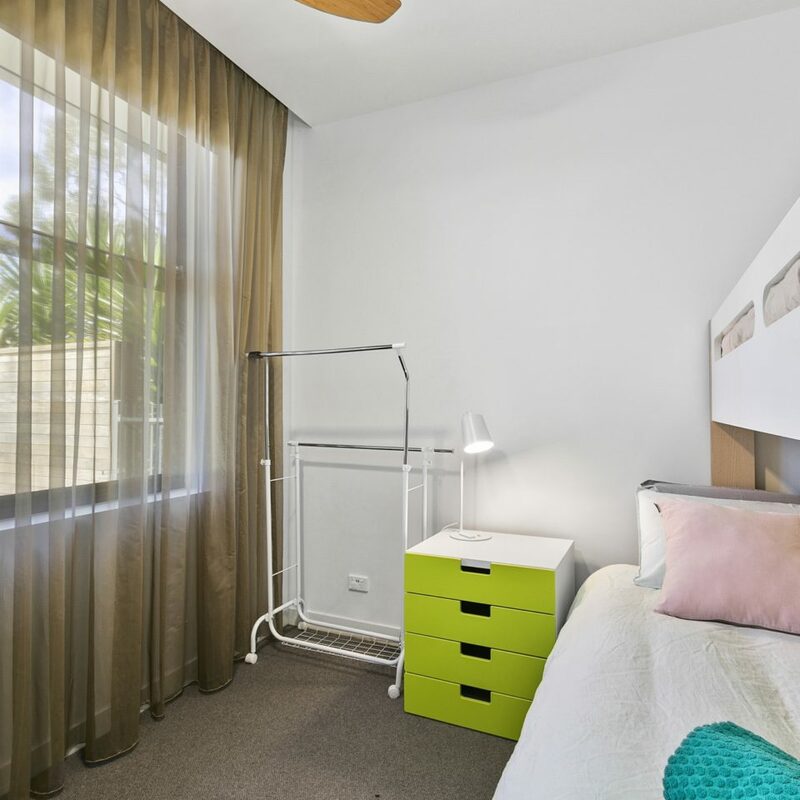 Yet it is only one minute drive or an 8 minute walk from Lornes main cafe and shopping strips. 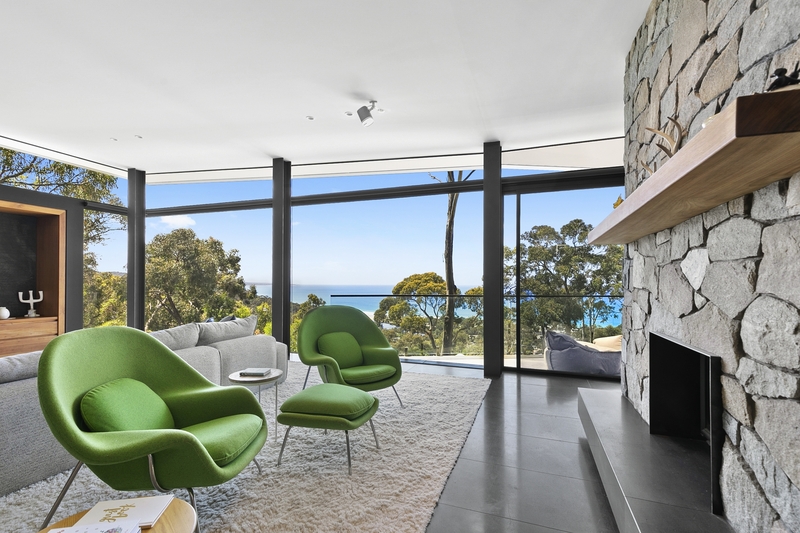 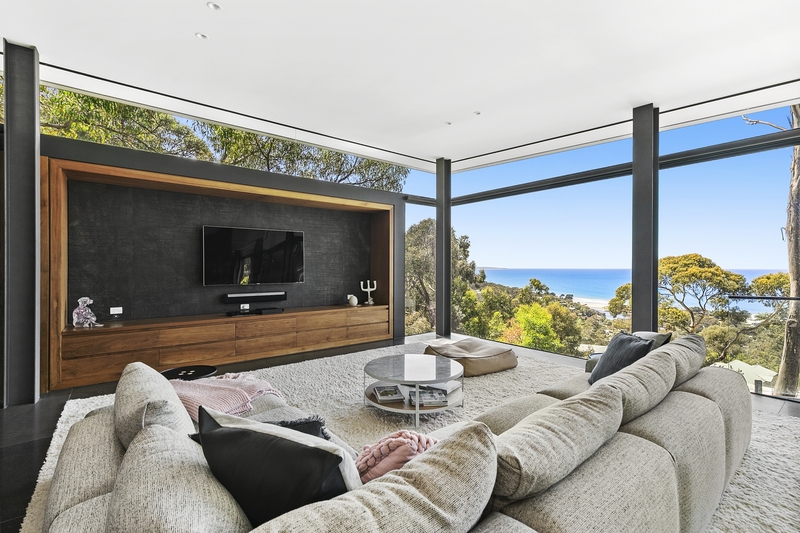 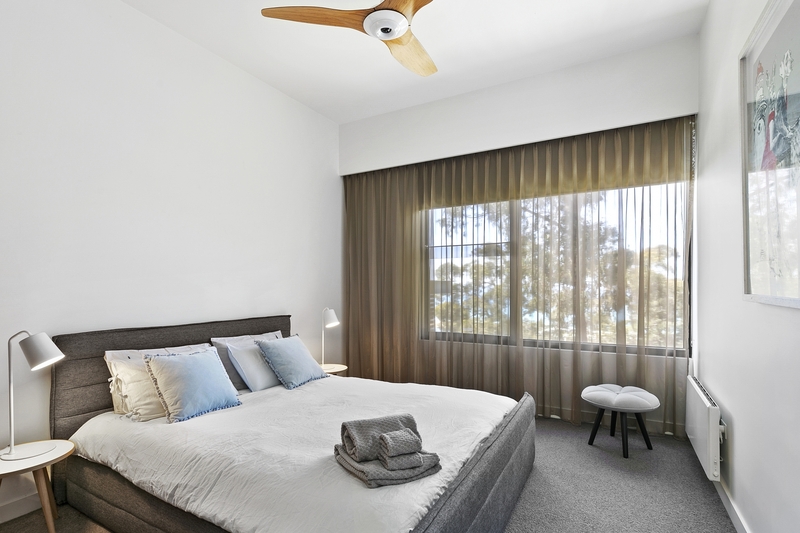 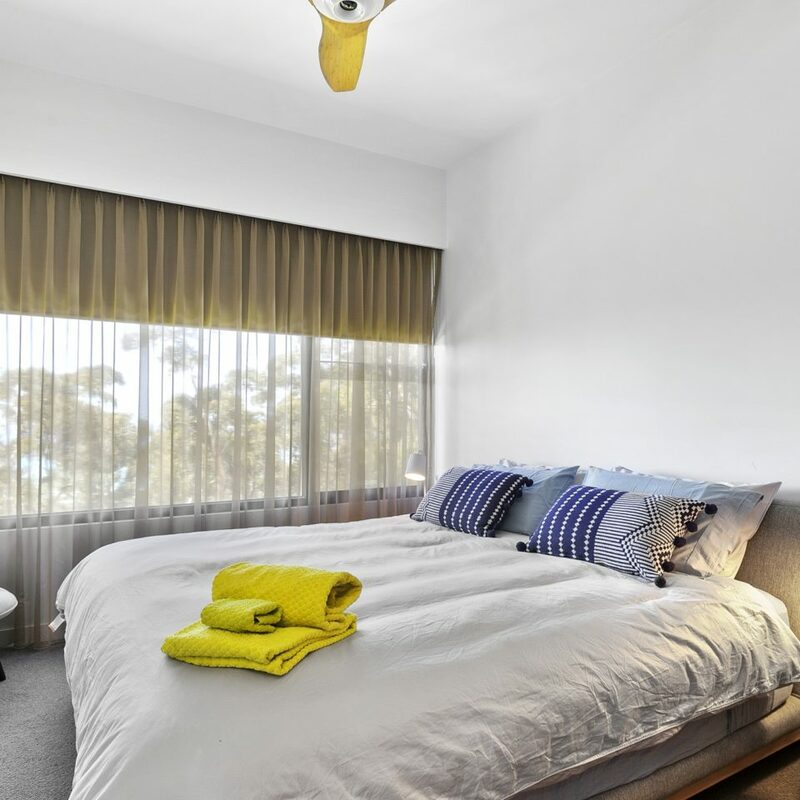 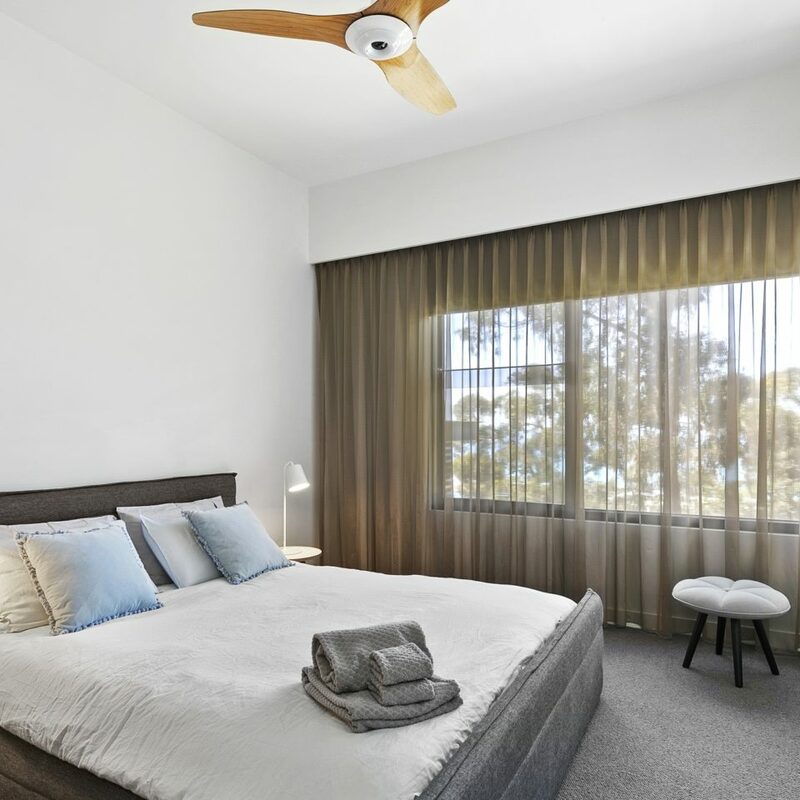 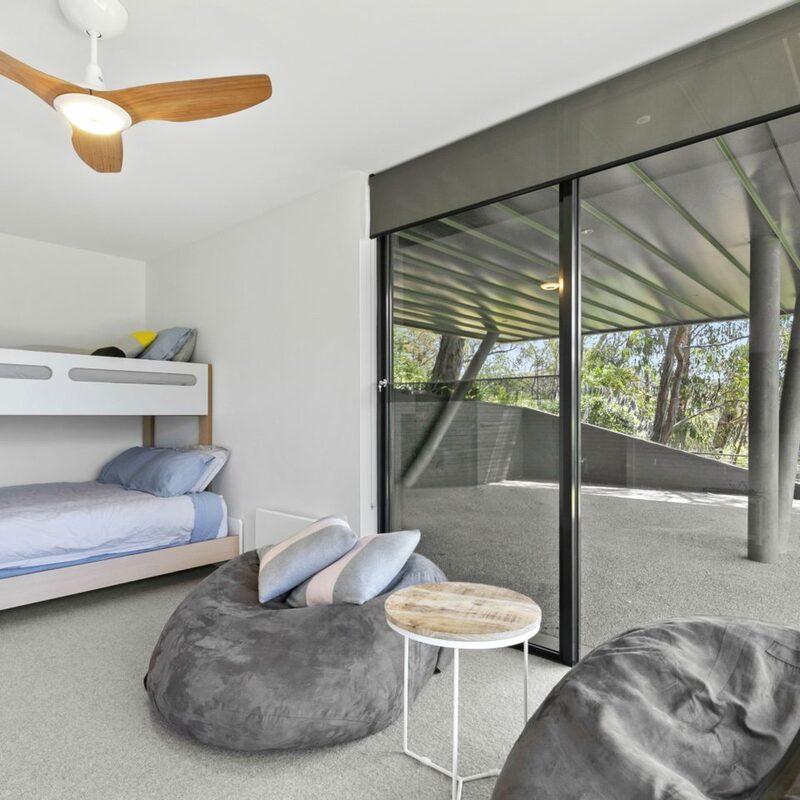 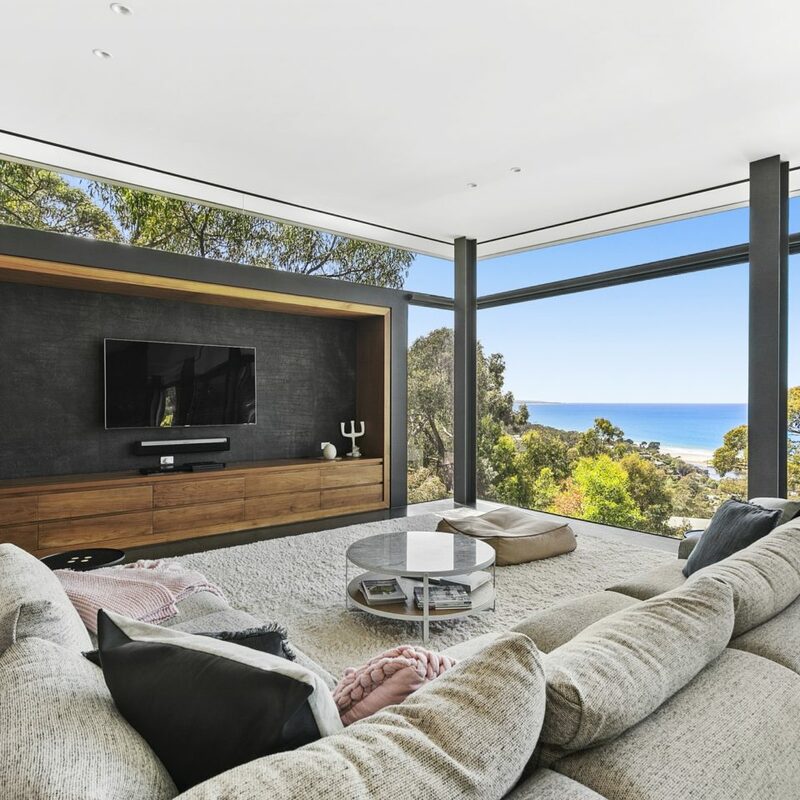 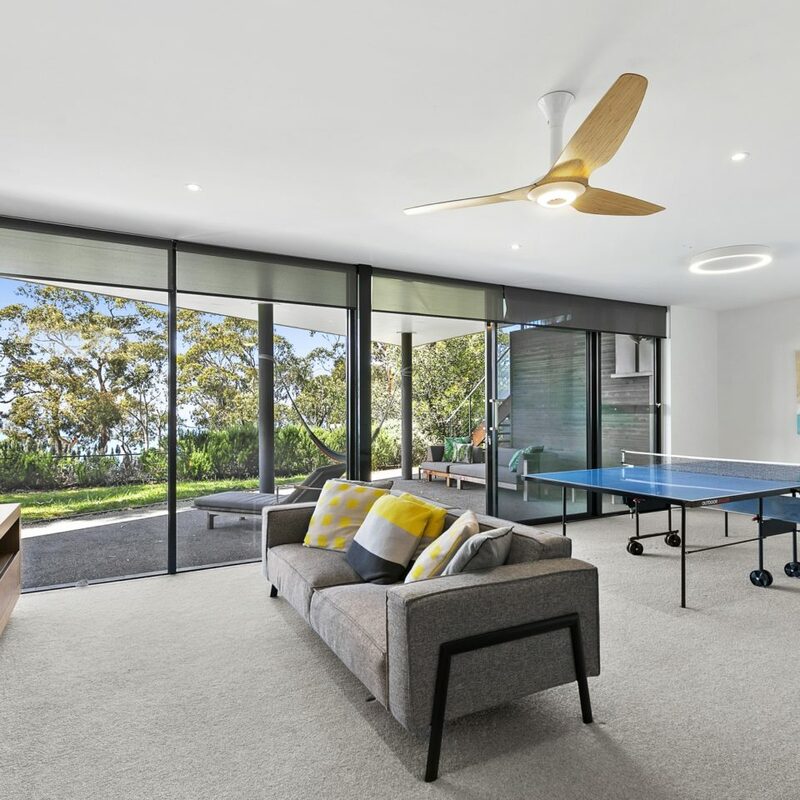 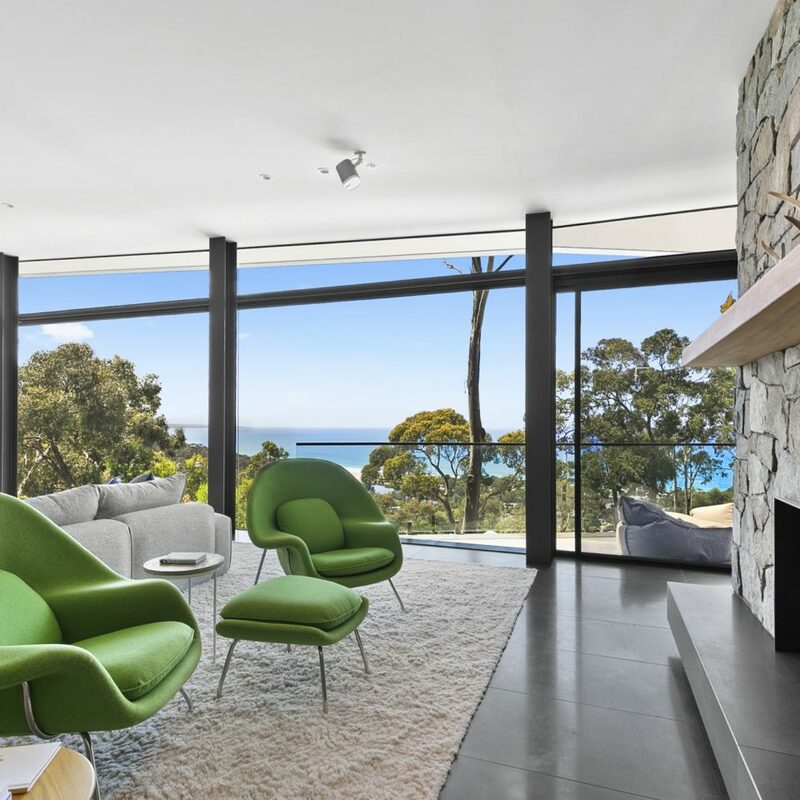 Expanses of floor to ceiling windows offer glorious views of Louttit Bay, the Erskine River estuary and the surrounding trees this is truly where the Otways meet the Southern Ocean. 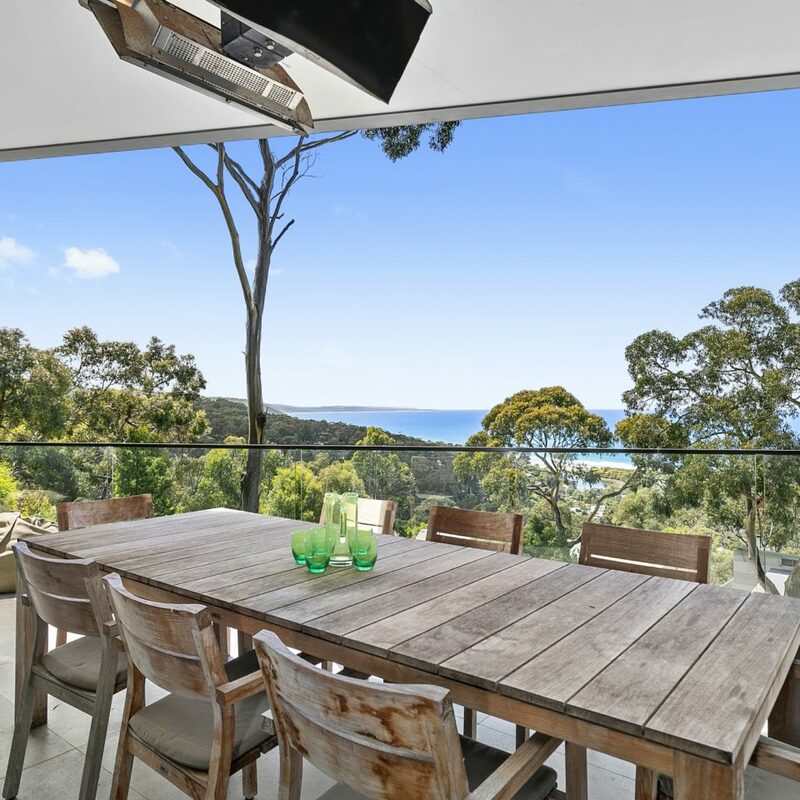 The spectacular covered deck is accessed from the dining area. 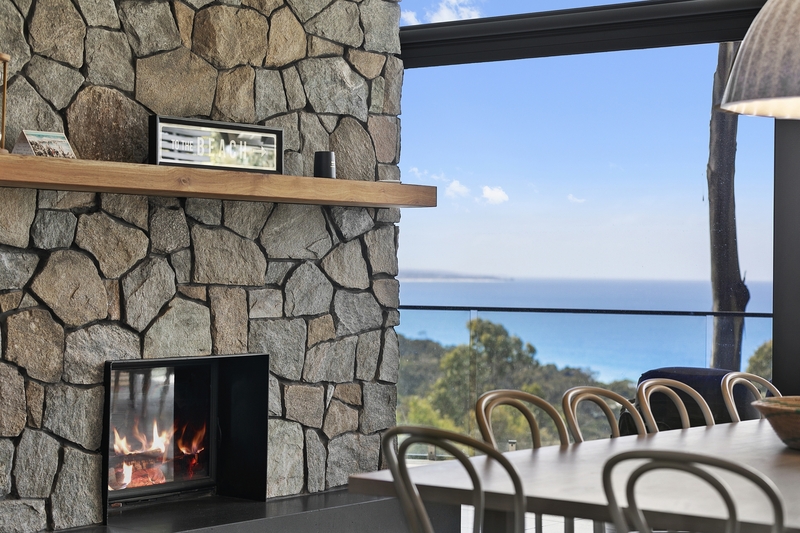 Complete with built in BBQ with stone top and LPG roof heaters. 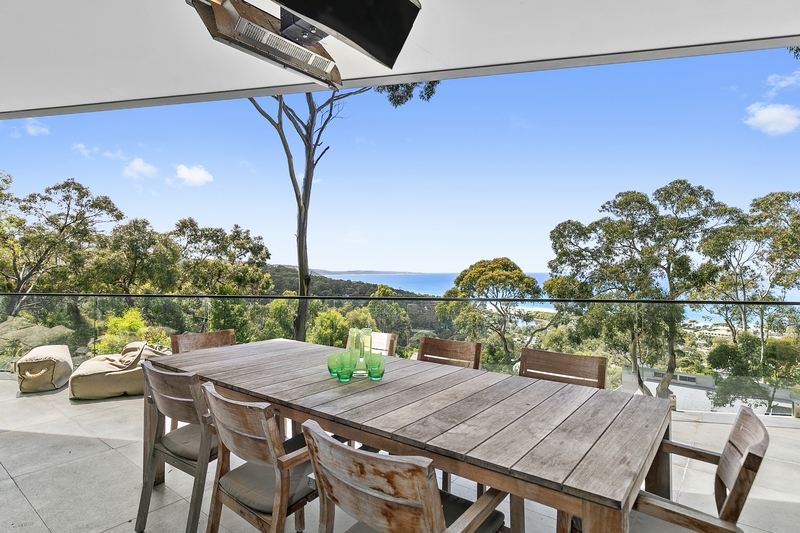 Once again, the blue water vista is glorious. 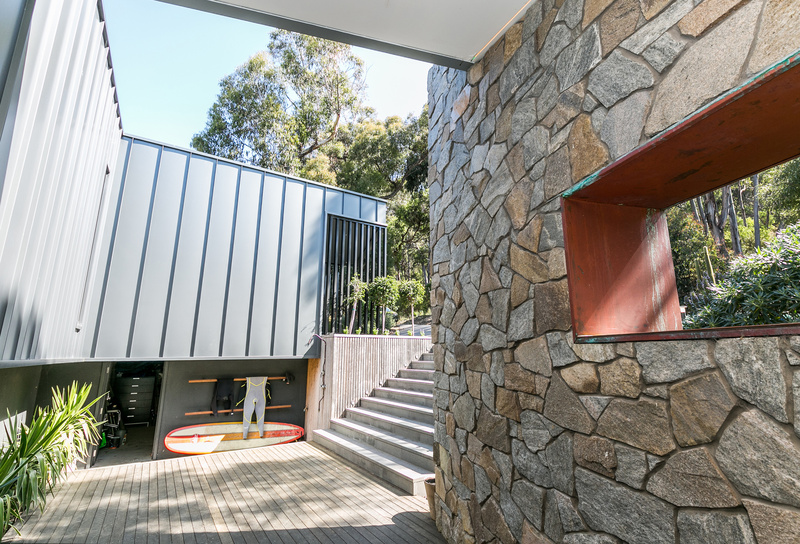 Back inside, a solid teak staircase leads to the upper level with its master bedroom with ensuite and built-in robe, two more generously sized bedrooms both featuring teak joinery, the main bathroom and the laundry. 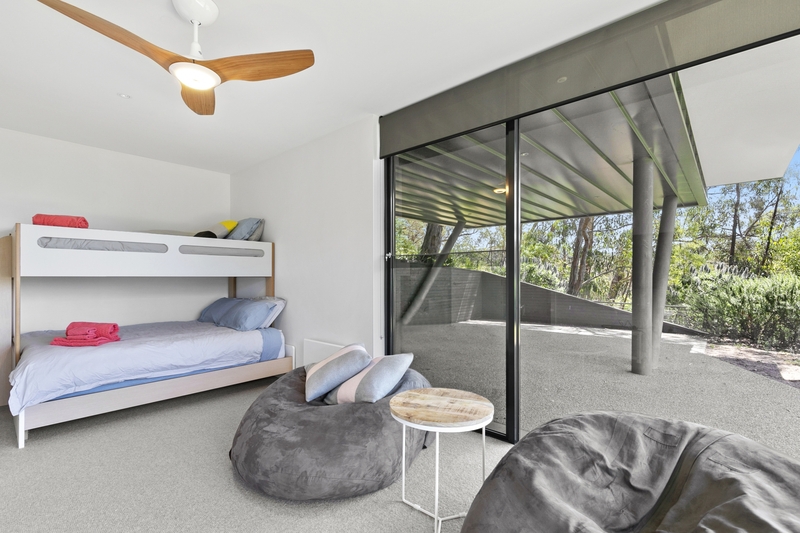 The lower level, which opens to the lawn and fenced gardens, offers a haven for guests with a spacious second living area, 4th and 5th bedroom, main bathroom and separate toilet. 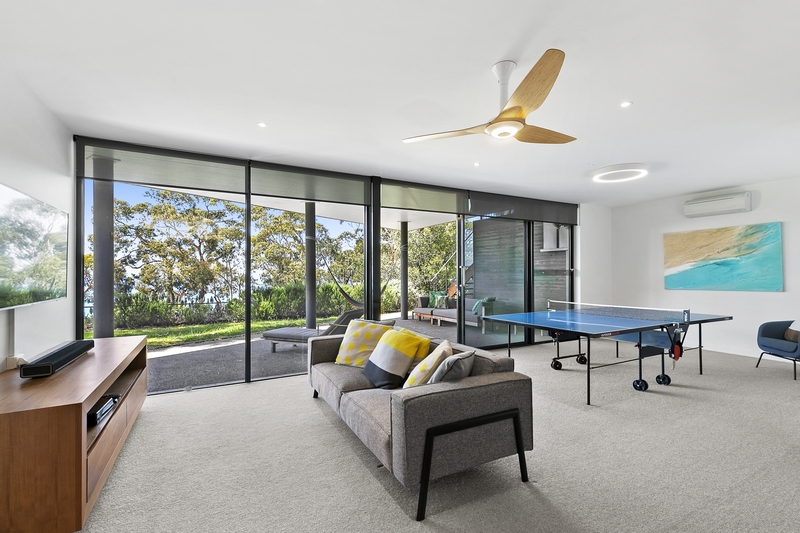 There is considerable flexibility for how this level is used with the second living serving as rumpus room, TV, lounge, table tennis and office area (just in case someone actually wants/needs to do some work). 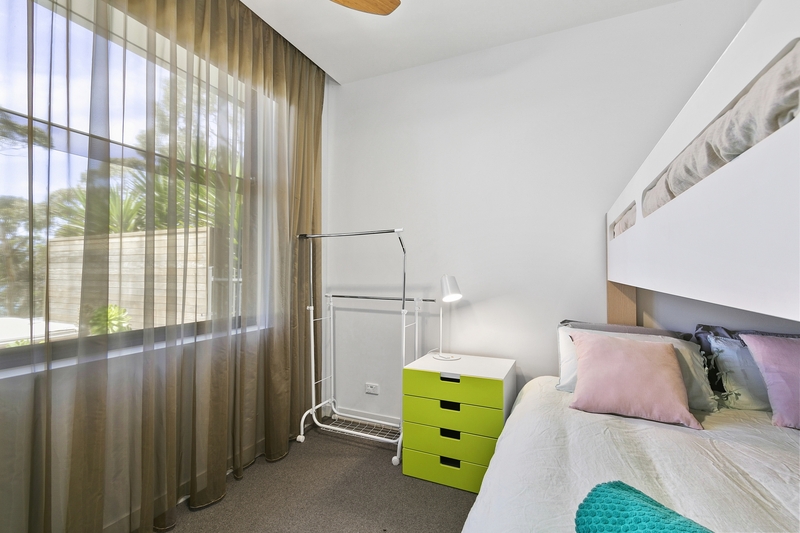 The bedrooms also feature queen size tri bunks allowing for equal function & comfort for couples or children. 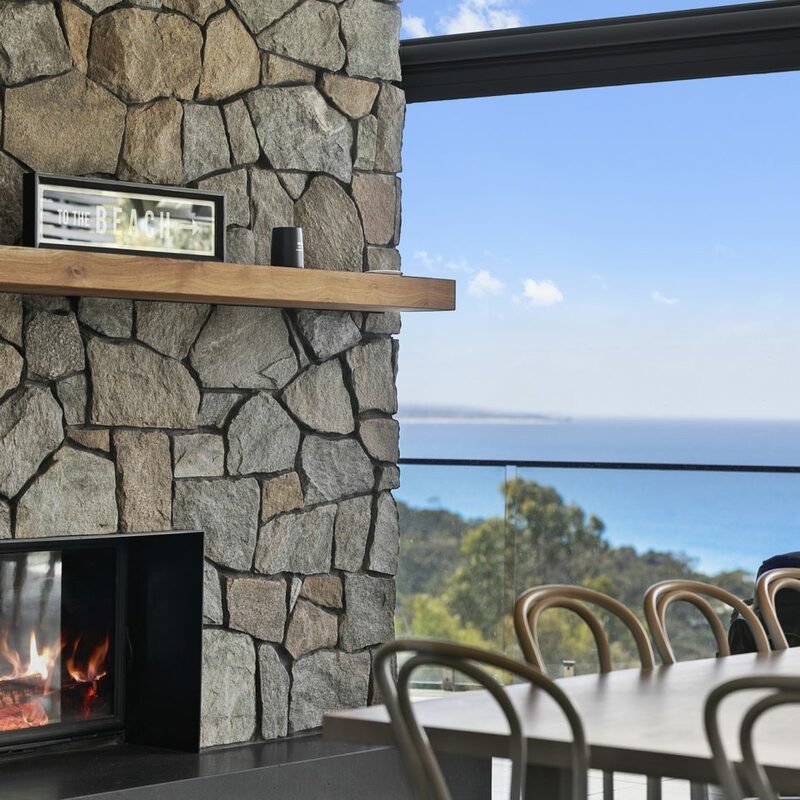 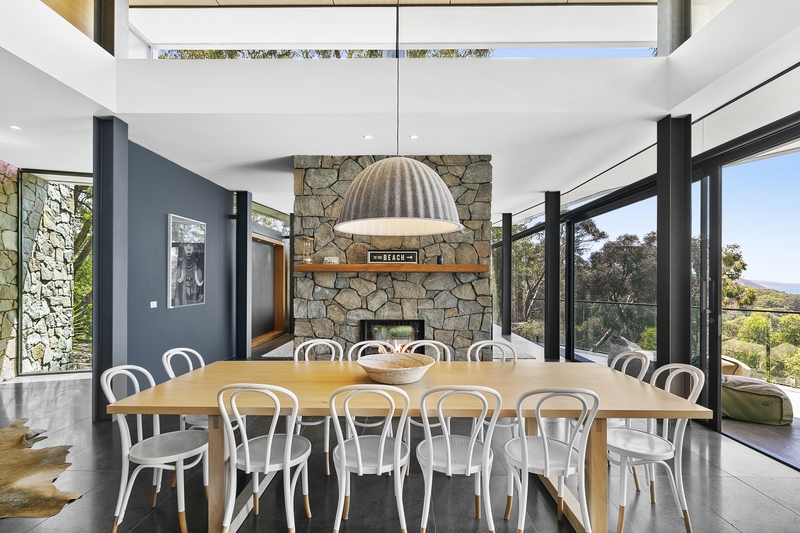 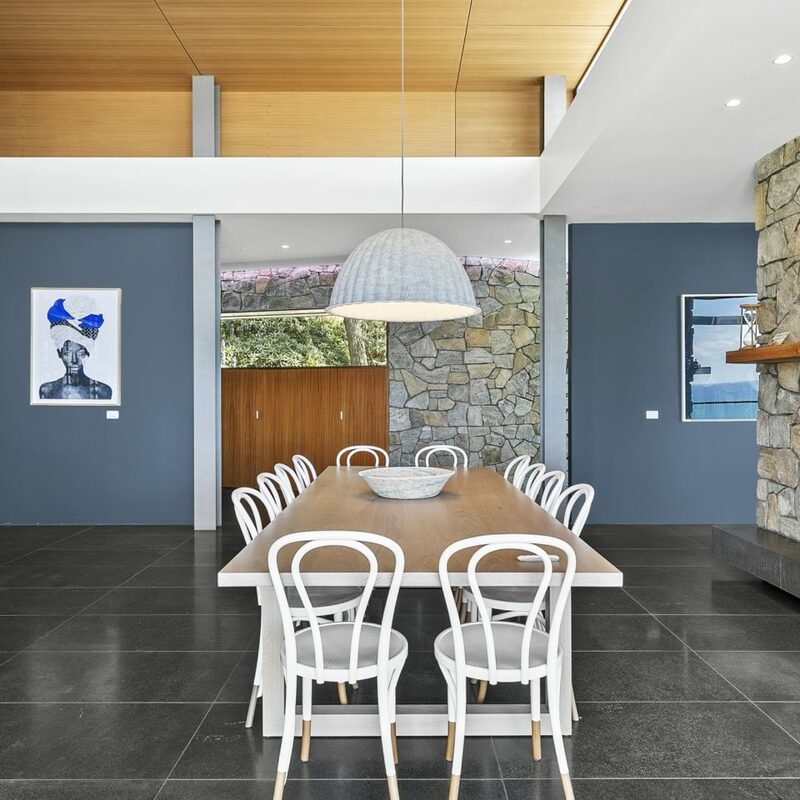 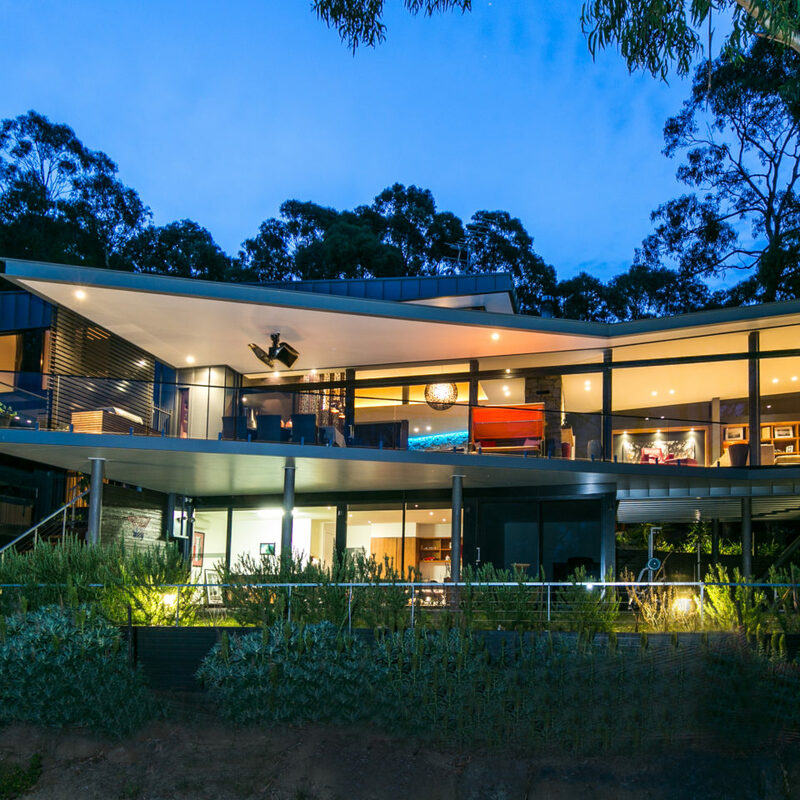 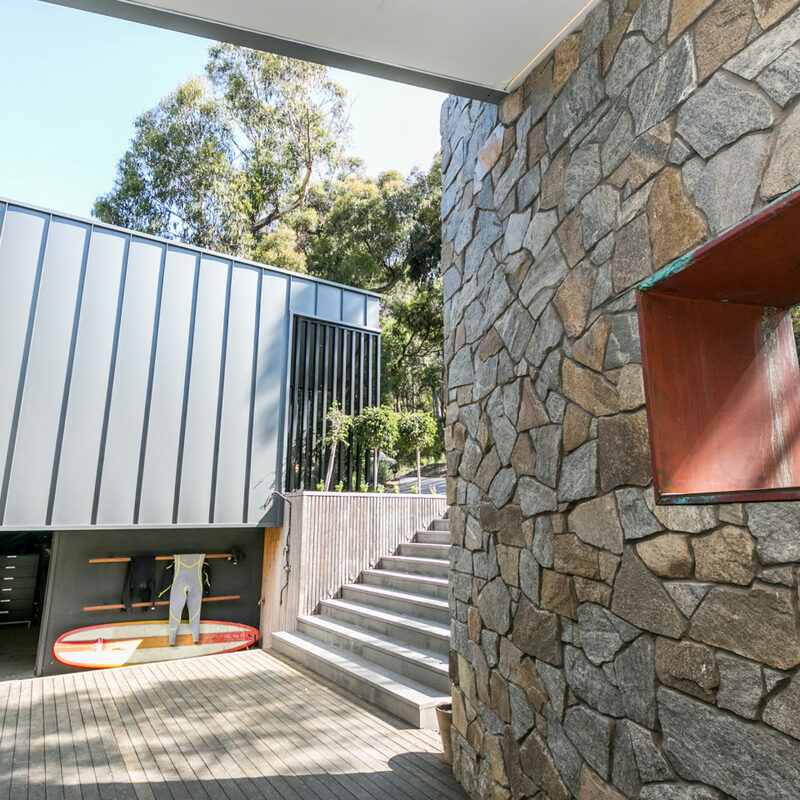 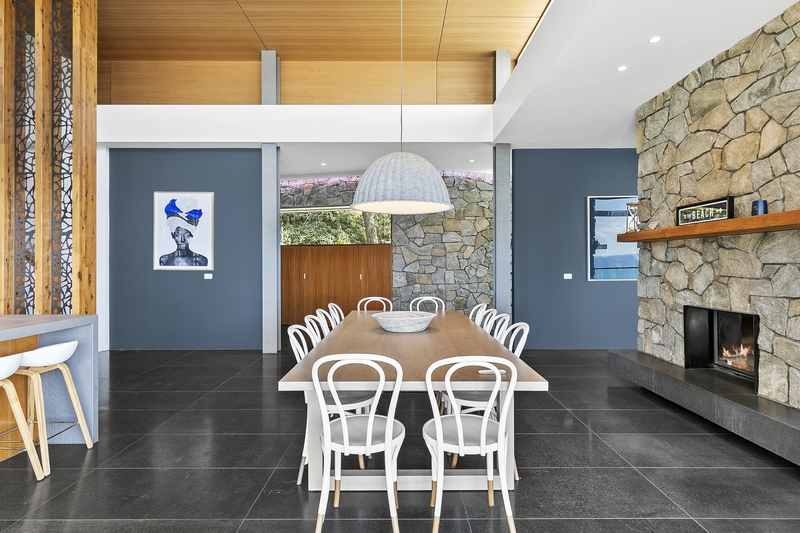 This luxurious, bespoke home offers a level of quality rarely found in resort towns such as Lorne. 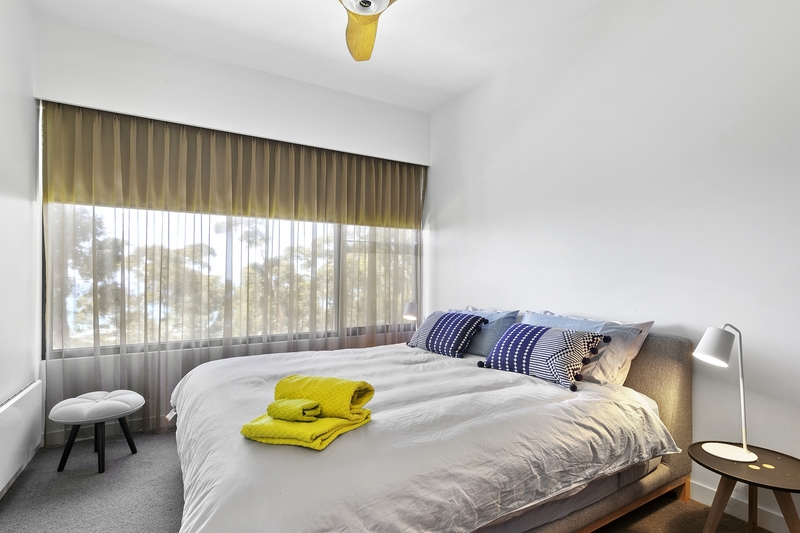 Serendipity opens its door to you, your family and friends to unwind and create an enviable holiday memory.